Simply select a free date from the calendar. When you find an appropriate date and time, click and select then fill in your details and submit the form. We will confirm your appointment by email to the email address you use to book the appointment. Appointments are only finalised once we have confirmed your appointment by telephone. This will normally happen within 24 hours. At busy periods, during holidays and over the weekend, this may take 48 hours. Our Giffnock office covers Newton Mearns, Giffnock, Clarkston, busby and more. 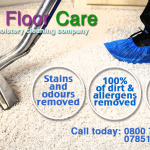 Copyright © 2019 Alba Floor Care – Carpet Cleaning Glasgow. Powered by WordPress. Theme: Accelerate by ThemeGrill.